Janelemew: great tunes!! Whiskey before breakfast? jagat: Must be odd to play for a "live" audience whom you can neither see nor hear! Katelamoreaux: Reuben's Train sounded terrific! Mwilliams288: Love Rubens Train! Sing it brad! Shanan187: Woohoo! Thanks so much, guys! Miss you! It was great to "see" you! Just wish I was there jammin' with you! NGray138: Thanks for a great show! anitabridgman@yahoo.com: Thanks Ken & Brad! JudyNourse: Thank you for the concert... we WOULD love an encore. How can we make that happen next time? bradkolodner: Thanks for coming out!! We thoroughly enjoyed the concert. Was surprised how well it worked. We only had a laptop, yet the sound was fairly good. There was only one brief time that the sound over the network seemed rough. We will be glad to participate again. I loved this format and the concert itself! It was like being invited into their home for my own personal show. That said, it was nice to be able to sit there in my PJs and still enjoy a front row seat. I hope they do it again. I'd like a bit more volume on the dulcimer though and it would be great if it were turned a bit so we could see more of what Ken was doing. Thanks for giving this a try guys! Great concert! Loved the tune selection, the playing and the banter between tunes. The encore was great, too. The video and audio were adequate. It would be nice if the audio could be better on concert window, in general. 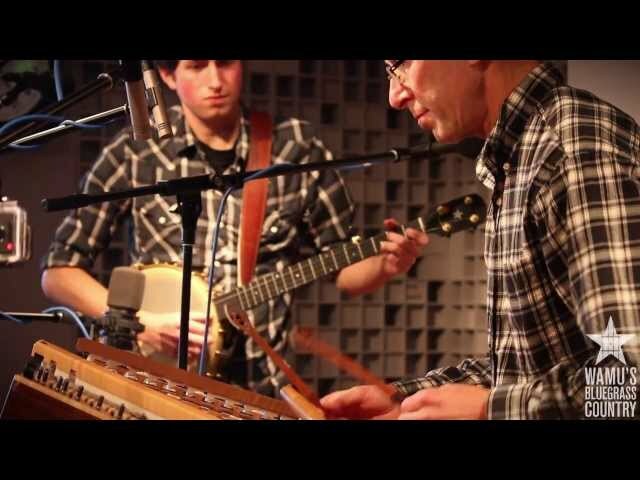 Regarded as one of the most influential hammered dulcimer players and old-time fiddlers in the US, Baltimore’s Ken Kolodner has joined forces with his son Brad Kolodner, a rising star in the clawhammer banjo world to perform tight and musical arrangements of original and traditional old-time music with a “creative curiosity that lets all listeners know that a passion for traditional music yet thrives in every generation.” The dynamic father-son duo pushes the boundaries of the Appalachian tradition by infusing their own brand of driving, innovative, tasteful and unique interpretations of traditional and original fiddle tunes and songs. The duo started performing regularly in 2009. Shortly thereafter, they released their first recording, Otter Creek, which became the most played instrumental recording on the international Folk-DJ Radio charts. Brad’s original composition “Otter Creek” was the most played instrumental on the charts. Through performance and on the strength of Brad’s first recording, the recently named Strathmore Hall Artist In Resident and WAMU Bluegrass Country DJ has rapidly gained national recognition for his delicate touch and writing. Ken & Brad released Skipping Rocks, their second album, in September 2013. Their latest project “is both technically impressive and musically tasteful, a lovely exploration of both tradition and creativity (and of a warm musical relationship)." - Rick Anderson, CD Hotlist. Skipping Rocks debuted at #4 on the Folk-DJ Charts and in the top 20 on the Roots Music Charts. Concert appearances for the duo include The Kennedy Center, The Birchmere, The Charm City Folk and Bluegrass Festival, The Champlain Valley Folk Festival, Old Songs, The Creative Alliance, three appearances at Helicon’s Winter Solstice concerts with Robin Bullock and Chris Norman, several appearances on the legendary “Bound for Glory” radio show in Ithaca, NY (the longest running live concert-radio broadcast in the United States), The Common Ground Festival in MD, The Mountain Arts Gathering in NY, The Folk Society of Greater Washington, The Baltimore Banjo Showcase as well as numerous other live radio broadcasts, concerts and festivals along the Eastern seaboard from North Carolina to Vermont to Wisconsin. Brad didn’t start playing banjo until age 17 when he attended a music camp where his father was teaching. After just two years, Brad won the 2010 Takoma Park Old-Time Banjo festival winning a Kevin Enoch banjo and a performance spot at The Birchmere, sharing the stage with banjo legend Tony Trischka, Cathy Fink and Marcy Marxer, Adam Hurt and other notable banjo players. 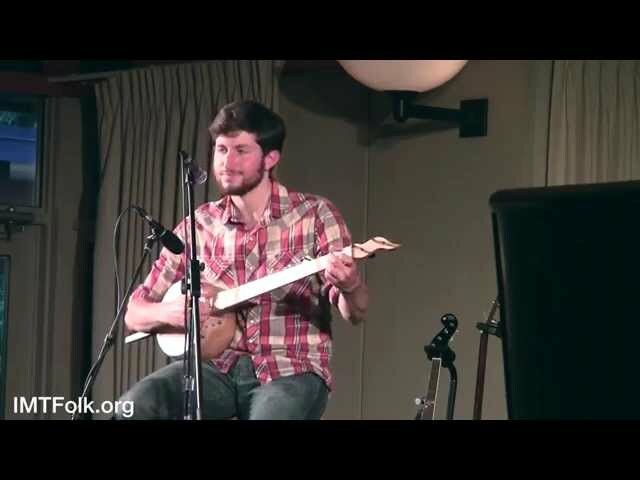 In 2012, Brad won first place in Old-Time Banjo at the prestigious Lowell Fiddle and Banjo Contest. Most recently, Brad won the inaugural Banjo Hangout National Clawhammer Banjo contest. His version of “Boatman” was the highest rated submission out of all 69 entrants. Brad guest-recorded on Out of the Wood, a 2011 release by Elke Baker (a Scottish National Fiddle Champion) and his father. Brad graduated from Ithaca College with a degree in Television/Radio in 2012. In the summer of 2013, Brad signed on as the host of “The Brad Kolodner Show” a weekly bluegrass show on WAMU’s Bluegrass Country, a 24/7 bluegrass radio station in Washington D.C. Brad has amassed a stable of over 30 banjo students in Baltimore. He has added fiddle, guitar and vocals to his repertoire.